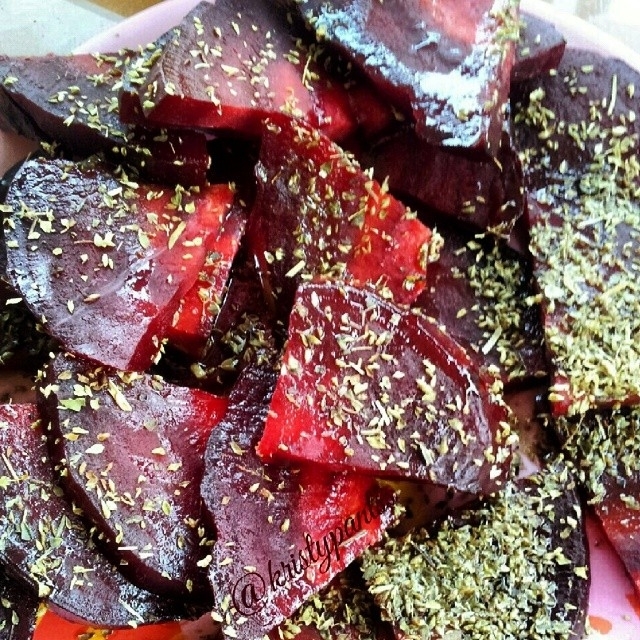 Roasted beets are super easy! Simply wrapped washed beets individually in foil and bake in the oven at about 195C for an hour or so. Pop one or more in as a side dish while you make the rest of your meal ;) after baking, carefully peel and slice! The skin comes off easily when its fully cooked. Serving suggestion: drizzle with a little olive oil and oregano.